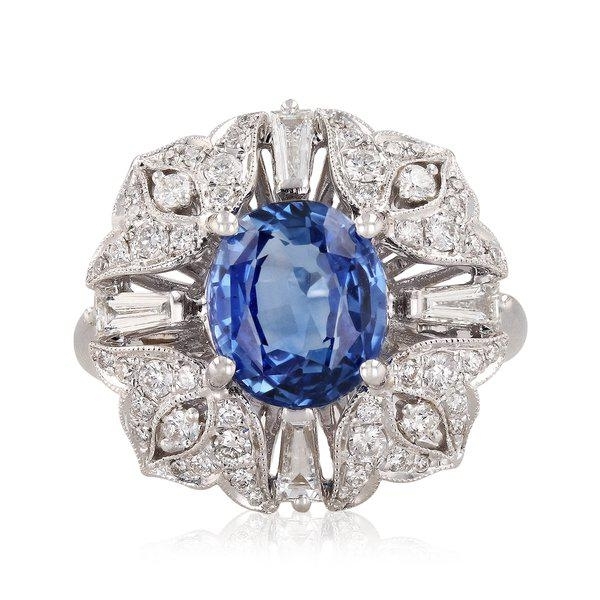 Lot Detail - 18K BLUE SAPPHIRE AND DIAMOND RING 3.18 C.T.W. 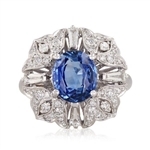 18K BLUE SAPPHIRE AND DIAMOND RING 3.18 C.T.W. IN GOOD CONDITION. 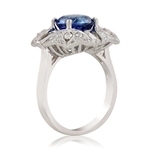 18K WHITE GOLD BLUE SAPPHIRE (MAY HAVE BEEN HEAT TREATED WHICH IS COMMON IN SAPPHIRES) AND DIAMOND RING APPROX. 3.18 C.T.W. 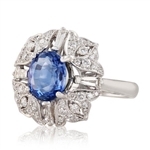 SIZE 7 BUT CAN BE RESIZED. COMES WITH OUTSIDE INDEPENDENT APPRAISAL THAT WE FEEL IS A HIGH RETAIL APPRAISAL. IT IS SOLELY FOR INFORMATIONAL PURPOSES ONLY AND IS NOT A GUARANTEE OF QUALITY OR VALUE. PLEASE BID ACCORDINGLY SINCE SALE OF THIS ITEM IS FINAL.